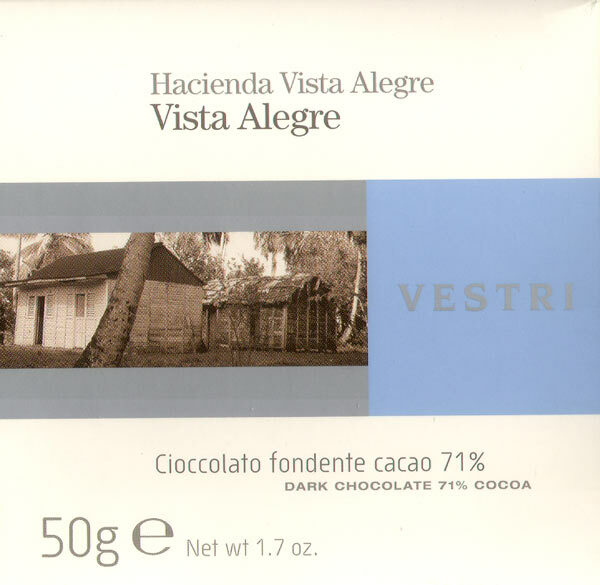 In 2001, Vestri established its own cacáo estate right along the coast of Bonao, D.R. because it understands if you want to swim with the sharks, you gotta to be one of the badddest sharks in the water. A feral hammerhead - never flinches... just one happy fast beast yet tame enough to grab a dorsal fin & dive the fathoms. Nothing revolutionary, just solid craft & a notch or two from the sumptuously staggering scale of Cluizel’s Ancones masterpiece – which puts this damn near the very top. Phenomenal balance & equilibrium in all aspects from the outdoor crop (the last couple according to Vestri have been "favoloso") to the indoor processing. Vanilla the hidden agent, never intruding, just quelling by coloring a bitter insurrection among bottom forces, helping to bring out that malted banana aspect, & a swidden force of sorts allowing sugar clearer access to sweeten upper palate acids for a range that approximates a natural blend.